With over a whopping 18 million subscribers, it’s clear to see that the adorable Ryan of Ryan ToysReview has captured everyone’s heart. Kids and their parents love watching all of Ryan’s amazing videos – whether it’s videos of him playing with terrific toys, taking on exciting, science experiments or sharing excellent vlogs of wonderful memories he’s having with his family. 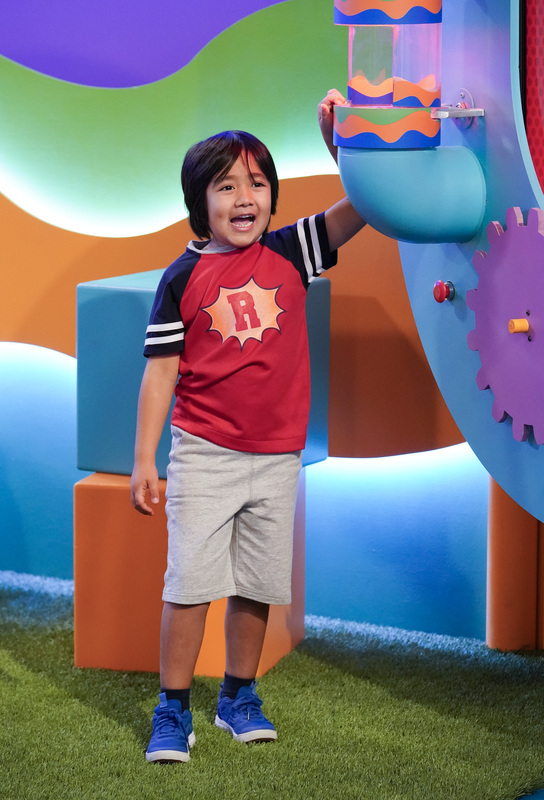 Well, fans get to look forward to seeing a whole lot more of Ryan in his very own Nickelodeon pre-school series titled Ryan’s Mystery Playdate, which is set to premiere on April 19th at 12:30 PM ET / PT. Families will have a blast as they get to watch Ryan take on fun challenges and unbox mystery boxes in order to find out who his playdate is. The 20-episode series is created and produced by pocket.watch. Nickelodeon will also premiere a brand new episode on Saturday, April 20th at 12:30 PM ET / PT before the series moves to its regular time-slot on Fridays at 12:30 PM ET / PT. After the premiere, short-form content and full episodes will be available on NickJr.com and the Nick Jr. App. Episodes will also be available on Nick Jr. On Demand and DTO. Be sure to mark your calendars and tune in to a whole lot of surprises in Ryan’s Mystery Playdate premiering on Nickelodeon on Friday, April 19th at 12:30 PM ET / PT! Previous Article: Calling All Foodies! Check Out The Full Line-Up For The Third Annual Los Angeles Times LA Food Bowl Here! Next VIPAccessEXCLUSIVE: “Teen Spirit” Will Have You Singing Along The Entire Film – Here’s A Recap Of The Fabulous Movie Premiere!